After winter break, here comes the Home's new season live music events with a larger family! In 2016, in collaboration with the musicians, the Home for Cooperation will support four charities - Cans for Kids, Help Those with Cancer Association, KISA and Prevention of Social Risks Foundation by sharing the revenue collected through the food and drink sale at the Home Cafe. The Home Cafe will be ready with special selections for every live music event. All concerts are free and open to the public. 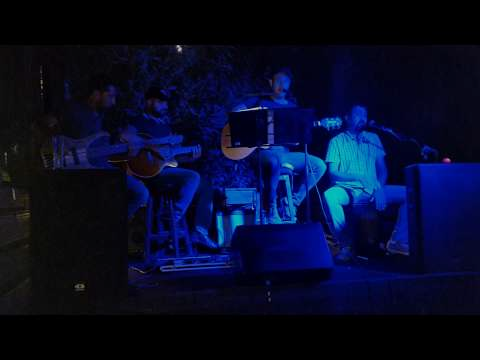 Initiated by the Home for Cooperation and hosted by the Home Cafe, "Thursday Lives" was launched in May 2015 as a weekly, open air live music event series. 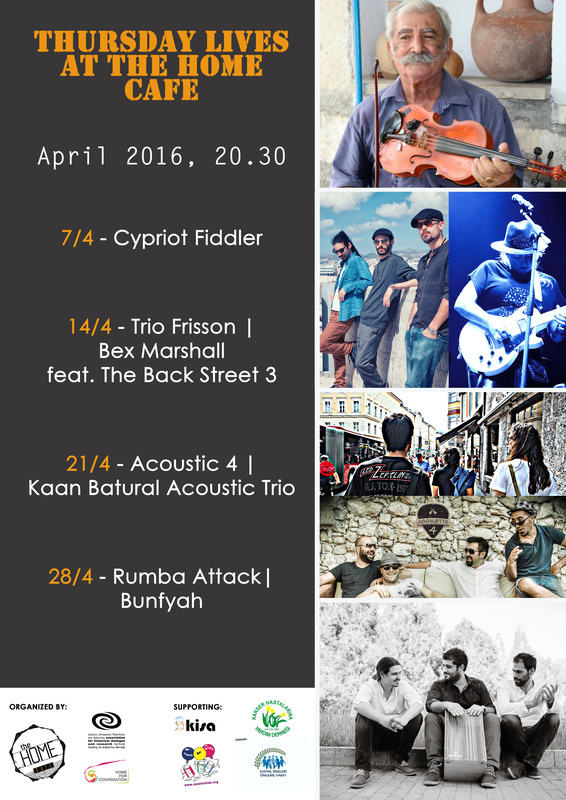 In a short while, the Home Cafe has achieved to become a place in the Buffer Zone, Nicosia where the musicians and audiences from both sides of Cyprus come together. Buffer Zone turns into Acoustic Zone!